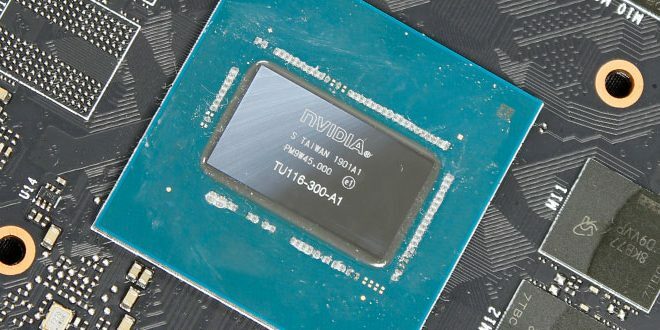 Overclocking the new Turing Series cards are very similar to 10 series but there have been some improvements in how the boost works in version 4 over version 3 which was on Pascal. We discussed this earlier in the features section. The MSI GTX 1660 Gaming X was an interesting card as I had to refamiliarize myself with GDDR5 as I have gotten so used to the speeds expected from GDDR6. 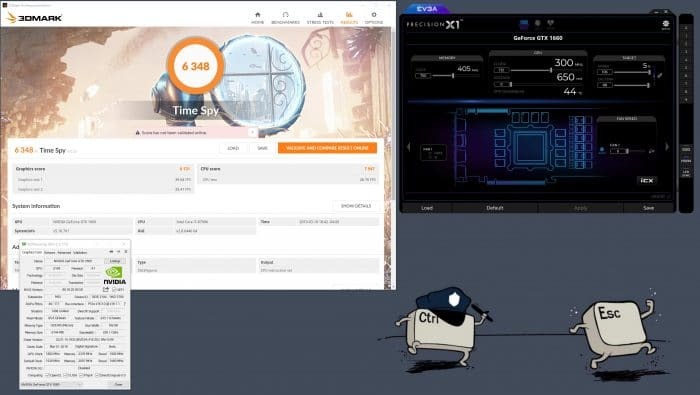 Needless to say that while MSI has an out of the box overclock, the card as we have come to expect from MSI has some fuel still left in the tank. We were able to push the GPU core up by +132 which equaled out to a steady state boost clock of 2040 – 2055MHz. The memory had a bit left in it too, as we were able to push it +750to a 4751MHz (9502MHz effective) clock rate. The GPU clock increase was about 6% while the memory went up by near 16%. This is not a bad result and overall as you will see below gave this card some legs to really kick it up a notch in the gaming performance department. Time Spy showed a graphics score increase of a little under 11% with the overclock. 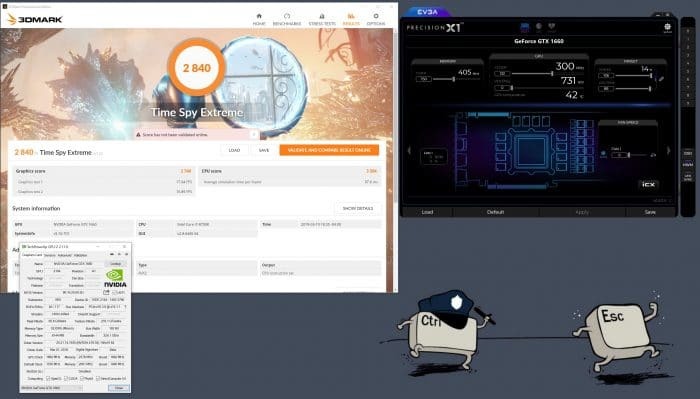 Time Spy Extreme showed a graphics score increase of a little over 10% with the overclock. Needless to say with the overclock things get a little interesting as this now pits the GTX 1660 Gaming X directly against a GTX 1070. That’s not a bad place to be for a 250 dollar GPU. Now its time to wrap it up.